The art of the armchair – An armchair with personality. Black, exclusive, secretive and with a definite eccentric side it provides an extra portion of glamour and visual luxury. 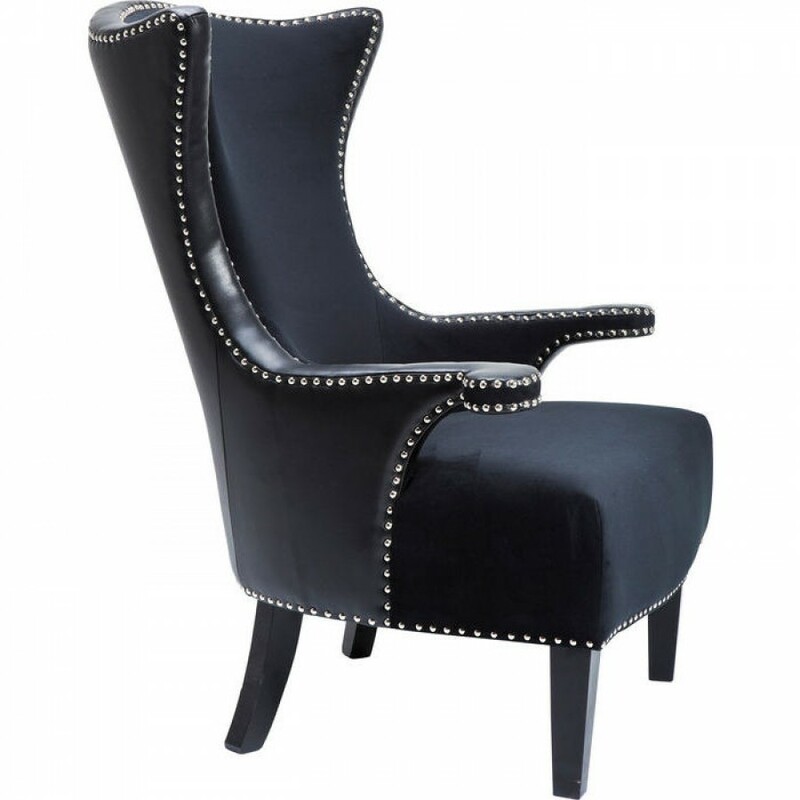 Its flamboyant forms and details turn it into a sophisticated armchair for individualists. 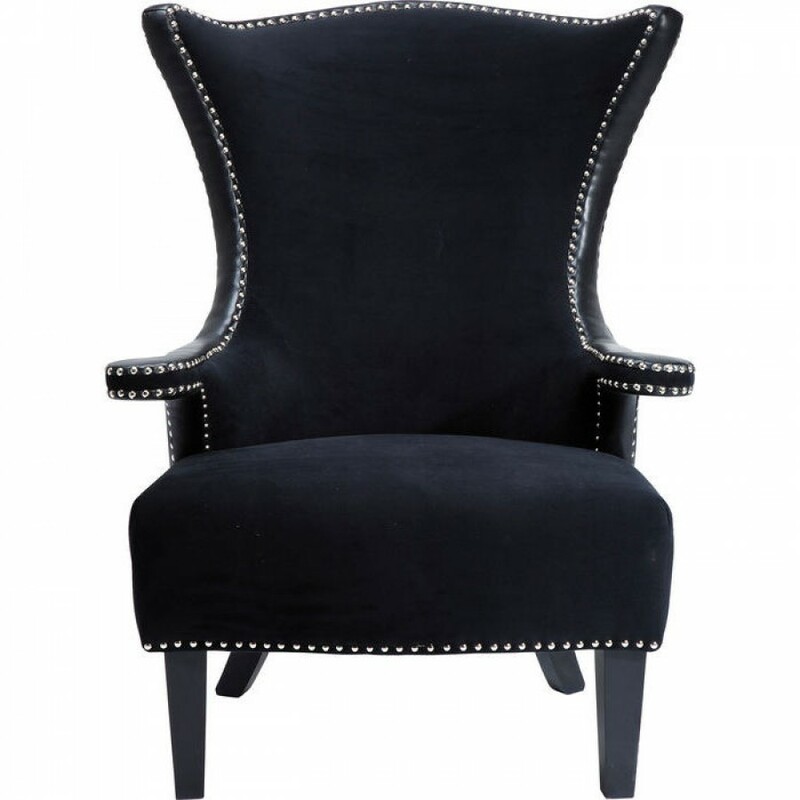 The upholstery with its stylish black cover of the finest velvet is both comfortable and feels great. 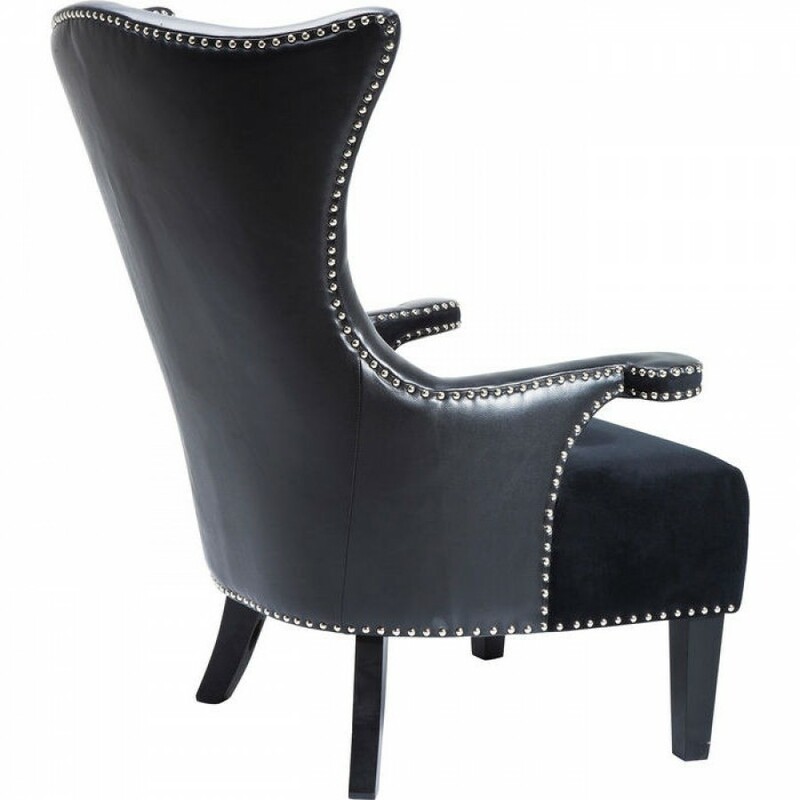 Find surrounding decorative nails, elaborate leather-look details and the intricate design of the armrests all give it a sculptural character. The legs are painted matt black and remain unobtrusive while contributing to the overall impression of a work of art.